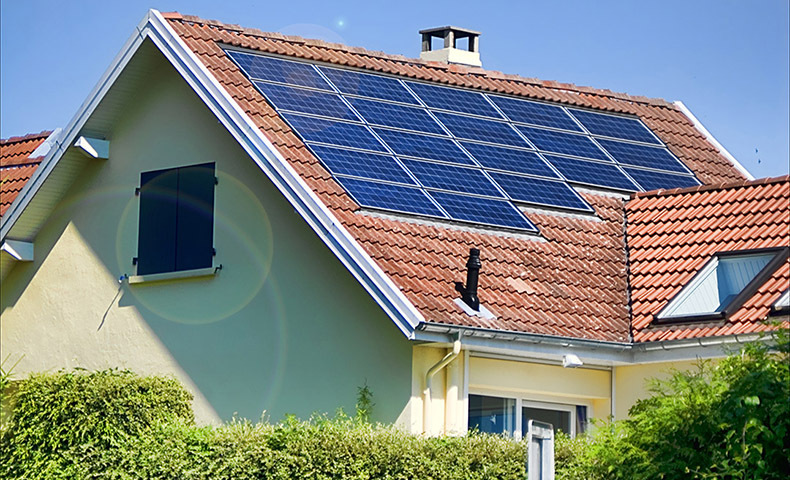 While you may already be certain you’re ready to make the switch over to solar, there are still some considerations about your roof you should be thinking about before you make that final investment. You’ll want to make sure you’re totally informed and ready for your installation day so that when the time does finally come around, you won’t be left not knowing how to answer your solar installer and what kinds of information you need to know about your roof. Here are the top two things you need to consider about your roof before your installation day that will keep you the most prepared and informed. Evaluating your roof’s exposure to sunlight. The most important consideration you’ll need to make is if your roof is able to get an adequate amount of sunlight needed to power your home. To have the most optimal amount of efficiency, your panels will need to get about five to six hours of direct sunlight every day. This can be achieved through both the angle your roof is tilted at and the direction it’s facing. If your roof isn’t facing the south, for instance, your chances of getting the optimal amount of sunlight are minimum. You’ll also get the optimal amount of sunlight if your panels are situated at about 30-degree angles. If your roof is too steep to allow that, again, your chances of getting the optimal amount of sunlight are minimum. Though these are optimal variables, flat roofs and 45-degree roofs, as well as west and east facing houses, can still achieve enough sunlight to power your home thanks to a talented solar installer. However, if your home is facing the north, has lots of shade, and/or has steeper roofs, it may just not be in the cards for you to install rooftop solar. If that occurs, you’ll want to start looking at ground-mounted panels as a viable option. Evaluating your roof’s current condition. The angle and direction of your rooftop isn’t the only consideration you need to be making when you install solar. You’ll also need to think about the condition of your roof in general. If your roof is going to need a replacement within the next thirty years, you’re going to want to replace it right now. If you don’t, you’ll end up having to uninstall and reinstall your solar panels when you do end up replacing your roof, which is going to cost you a lot more than if you just replace your roof right now, before installing anything. Another important factor to consider is that solar panels do protect your roof - at least in the area beneath the panels themselves - and therefore can help your roof live a longer life. With that being said, if you’ve come to the conclusion that your roof can make it another 28 years, you might not need to replace it at all. Consult with your solar installer and ask them what they think and if two years is how much longer your roof will last thanks to the solar panels, as it also depends on what type of material your roof is made out of and what kinds of weather conditions your area is prone to dealing with. You also might want to consider installing solar shingles, which will completely replace your roof with solar so that you’ll be replacing your roof and installing solar at the exact same time. Want to learn more about making the switch over to solar? Check out the HahaSmart blog for tons of information!